Leading the helm with a proactive vision, General Manager and CEO Bruce Vitosh is approaching his 10- year anniversary with Norris Public Power District. Historically serving five counties adjacent to its main operations center in Gage County, Norris merged with Seward County Public Power District earlier this year in May. Since then, its reach of service has increased from 19,000 to 24,000 customers. Bruce recognized that bringing two organizations together will result in many benefits for customers and employees. He has treated it as an opportunity to maximize and merge the strengths of long-tenured employees and technology trends to provide optimal customer service to the 53 communities they power. The Seward location will remain open as an area operations center allowing Seward County employees to continue focusing on environmentally friendly, low-cost services. An important aspect of Norris Public Power District’s service is being actively involved in economic development and attracting new business to the areas it serves. Bruce expresses pride in partnering with Monolith Materials, a startup company based out of San Francisco, which selected Hallam for its manufacturing plant based in part on Norris’ low electric rates. The building project is currently underway and will be completed by the end of 2018. Eventually, it’s anticipated to bring an estimated 600 new jobs to the area. A Continuum EAP member company since 2001, Norris Public Power District has utilized Continuum’s services to support employees during times of change, with on-site training and having supervisors attend Continuum’s monthly Leadership Academy. “The hardworking, dedicated employees of Norris Public Power District are very impressive. We have excellent people who care about each other and our customers,” states Bruce. 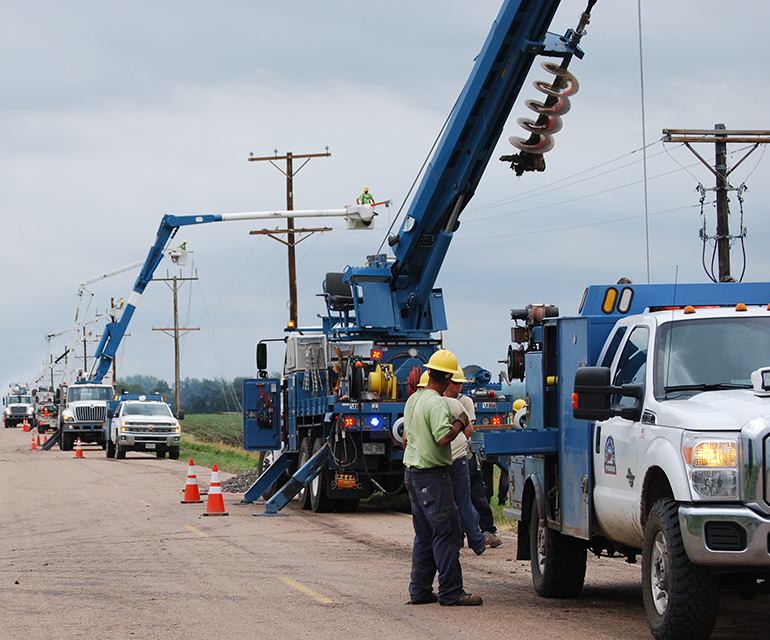 Norris Public Power District has a mobile workforce with lineworkers in the field and four operations centers throughout the service territory. Bruce explains EAP is a valuable tool that offers flexibility to employees and family members to access support resources.